At UCP, we’ve been voted ‘Best of the Beach’ pizza year after year. We’re a local pizza joint that prides itself of using quality ingredients and the freshest toppings to handcraft our gourmet pizzas. 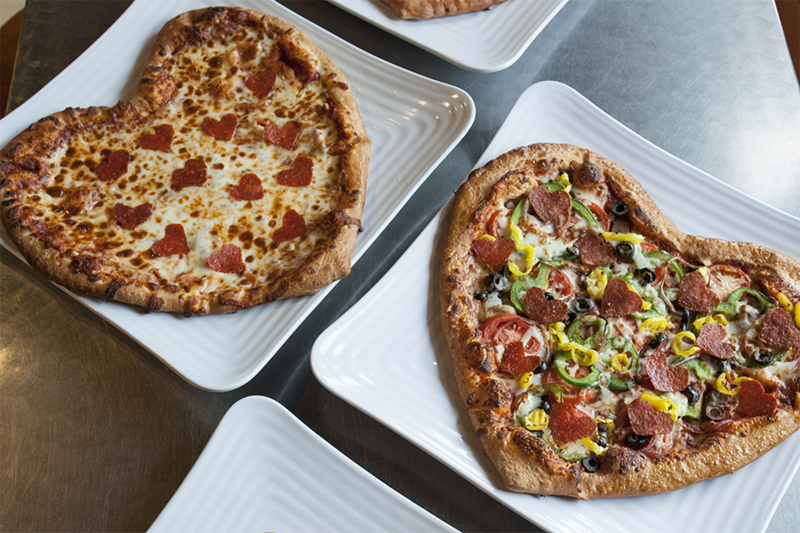 That’s right – we craft our pizzas by hand from made from scratch dough that’s made daily. And the tomatoes we use – those come from a special plot of fields that belong just to us out in California. Our pizzas are always made to order and there are tons of gourmet pizzas to select from. We have quite the assortment of toppings – including unique toppings like coconut, dates and BBQ sauce! Pizza shouldn’t be complicated, and we make getting that mouthwatering slice easy as pie – pizza pie that is. We have various options of ways to enjoy your handcrafted pizza. You can either dine in, carry out, get it delivered, or grab one in our drive-thru. That’s right – our UCP Surfside location has a drive-thru window so you can pick up a hot pizza on the go! After a full day on the beach or long day at the office, we want to take the hassle out of grabbing dinner for the family. Not only is it easy to get what you want, but we have multiple locations around Myrtle Beach and the Grand Strand, so you’re favorite pizza is never far away. We have six locations including one in Surfside Beach, The Market Common, 25th Ave North in Myrtle Beach, Garden City, Barefoot Landing and UCP Game Zone. Our UCP Game Zone location has an arcade so after you’ve filled up on pizza you can bump around in the Spin Zone or try to win some prizes. Talk about fun for the whole family! If there’s one thing we know at UCP, it’s how to please. Whether you’re a meat lover or veggie fanatic – simply say ‘pass the cheese please’ – we’ve got the pizza for you. And if you’re into splitting – we can also make a half and half pizza. Not only do we offer tons of toppings, but we feature two different sizes including personal and large. At UCP we understand that some of our guests have different diet restrictions so we happily offer vegetarian and vegan options, as well as gluten-sensitive crust and vegan cheese. Although pizza is our thing, we also serve fresh salads, hot sandwiches and a variety of appetizers. Plus some tasty $5 cocktails that are hard to beat! Handcrafted pizza created from made from scratch dough and using only the best ingredients including from tomatoes picked fresh from the vine in California – we definitely know a thing or two about a ‘Best of the Beach’ pizza. Our delicious pizza, family friendly atmosphere and fast delivery have led us to become a local’s favorite. We offer a lunch special when you dine in from 11 am to 3 pm which includes a 1-topping personal pizza with a fresh side salad for just $6.99. And during the off-season we feature a deal called ‘Beat the Clock’ where from 5 pm to 8 pm we offer special pricing on our specialty pizzas. Surf on by any of our six Ultimate California Pizza locations and try our made from scratch pizza today!